Fruits are a healthy treat for us and can be for our PupSize dogs. 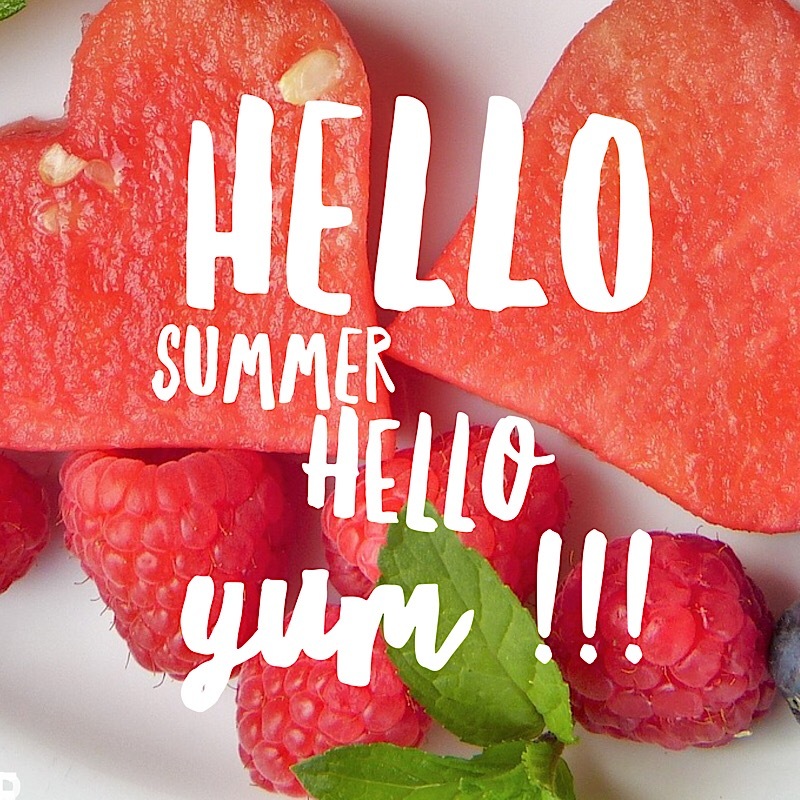 With summer upon us, who doesn’t love a refreshing treat in the heat. The following 10 Summer fruits can be a yummy treat for your dog. As always, please check with your trusted veterinarian before introducing your pup to any of these summer fruits- that are considered to be safe for PupSize dogs. It’s high in vitamins A and C, as well as, potassium and magnesium. Watermelon is a safe summer fruit for your dog. It’s also low in calories and can help ward off dehydration. Do not feed your PupSize dog the seeds or rind. Blueberries are good for us and this antioxidant-rich fruit is also good for your dog. The antioxidants, fiber and phytochemicals in blueberries have the same benefits for your dog’s body, making Blueberries a summer safe fruit for you PupSize. Try frozen blueberries for a cool treat on those hot summer days. Like with blueberries, strawberries are a summer safe fruit for your dog. Strawberries are full of antioxidants, are high fiber and vitamin C- Strawberries even contain an enzyme that can help whiten your dog’s teeth. Please note that Strawberries are high in natural sugar, so just a tiny piece of strawberry as a special summer safe fruit treat. Blackberries are loaded with antioxidants to fight free radicals in your dog, and have plenty of fiber and vitamins. Blackberries are a safe fruit for your PupSize dog, but again, just a small nibble. A tiniest little piece of cantaloupe can provide vitamins A, B complex, C, plus fiber, beta-carotene, potassium, magnesium, thiamine, niacin, pantothenic acid and folic acid. Cantaloupe is considered a safe summer fruit for your dog. Your PupSize dog may not like the citrusy taste of oranges, but they are considered a safe summer fruit for dogs to eat and is a great source of vitamin C.
Cranberries contain vitamin C, manganese, fiber and can help fight urinary tract infections. Most dogs don’t like their fresh, tart taste, but a small lick is perfectly ok and please note that you should not feed your PupSize dog bottled cranberry juice. Bottled Cranberry juice is bad for your dog. Bananas have Potassium and is a sweet treat, that your PupSize dog will love. Try freezing thin slices or making a pup-approved smoothie. Some dogs love bananas making it a safe fruit for your dog, not only in the summer, but year round. Thin Apple slices make a super, healthy and summer safe fruit treat for your PupSize dog. Apples are a source of vitamins A and C, as well as fiber. The skin of the apple are full of phytonutrients, just be sure the apple is washed thoroughly. Also, please make sure you stay away from the apple core and make sure you do not feed your pup any Apple seeds- they contain cyanide that can harm your dog. Kiwis are full of fiber, potassium and high in vitamin C… just a small, quarter sized piece of kiwi is enough as a safe summer fruit treat for our PupSize dogs. Not all summer fruits make safe treats- Cherries, Avocados, Grapes (and raisins), Figs, Lemons and Limes are Bad for your dog. While coconut is considered safe for your dog, it does contain triglycerides that may cause bloating and discomfort- If you want a safe way to share the benefits of coconut with your dog, consider giving your pup a little lick of coconut oil. Again, please check with your trusted veterinarian before introducing your PupSize to any of these summer fruits.